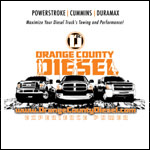 With the BD Power 1050127HP High Performance Injection Pump 1998-2002 Dodge 5.9L Cummins strategic durable mechanical modifications to this pump produce higher pressure, which results in better atomization, instant throttle response, improved fuel economy, and up to a 100 hp gain. And, because programmers and tuners for these engine model years only modify injector pulse width and timing, they can be used in addition to the BD High Performance VP44. 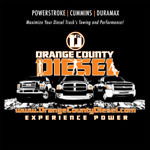 OC Diesel offers Professional BD Power BD-1050127HP Installation.